Last Monday, the U.S. imposed sanctions on Venezuela's state-owned oil company Petroleos De Venezuela S.A. (PDVSA for short) in an attempt to starve the regime of Nicolas Maduro of the money he needs to cling to power. The sanctions effectively froze all of PDVSA's assets in the U.S. and require that any money made in deals between the company and U.S. firms be held in escrow accounts that will be inaccessible as long as Maduro remains in power. 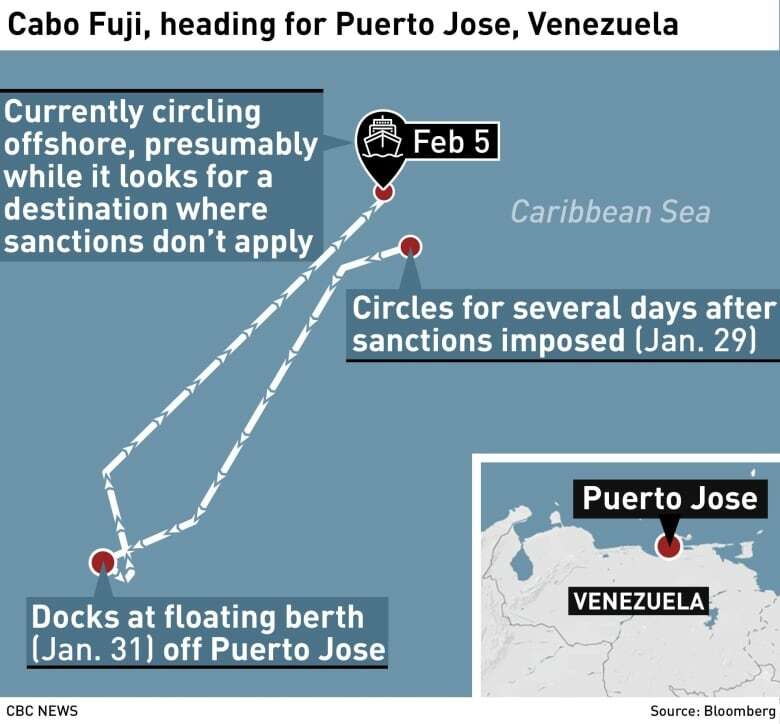 The goal was to strangle Maduro's golden goose, but an unintended consequence of that plan has left oil tankers floating around the Caribbean, unsure of where they should go to try to unload their cargo. Oil blends vary wildly in chemical composition, and there aren't many refineries anywhere near Venezuela that can process the heavy blend the country produces. Most are found in the U.S., which is bound by the sanctions. 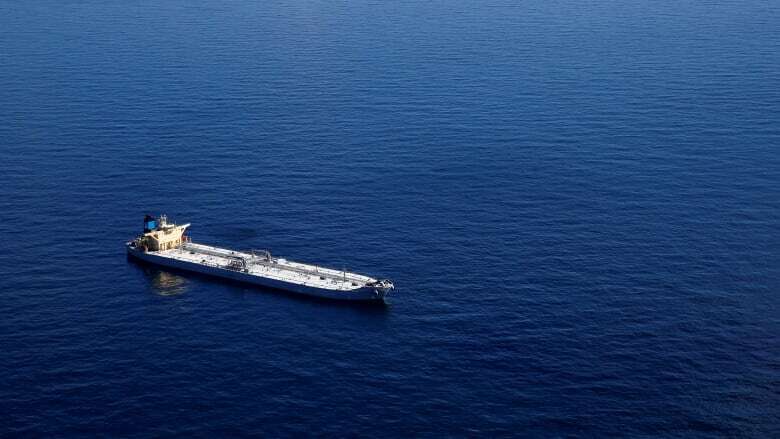 Many Chinese and Indian refineries are calibrated to process this crude and would likely happily buy it, but the economics of hauling anchor across the Pacific on a whim make that an unappealing prospect. The sanctions are wreaking havoc on the import side, too. Venezuela's thick and heavy oil needs to be mixed with diluents in order to be transported, and the country imports almost all of those diluents from overseas. Diluent shipments are covered by the sanctions. There's a steep price to pay if the ship delivers its cargo to its original destination, so the ship's owners are likely trying to find an alternative market for the thousands of tonnes of naphtha they're carrying — which is easier said than done on the fly. Economist Rory Johnston of Scotiabank says the strange shipping activity shows the sanctions seem to have caught everyone by surprise. "Theoretically, we should see those barrels being rerouted, but these things aren't really heading anywhere," he said in an interview. 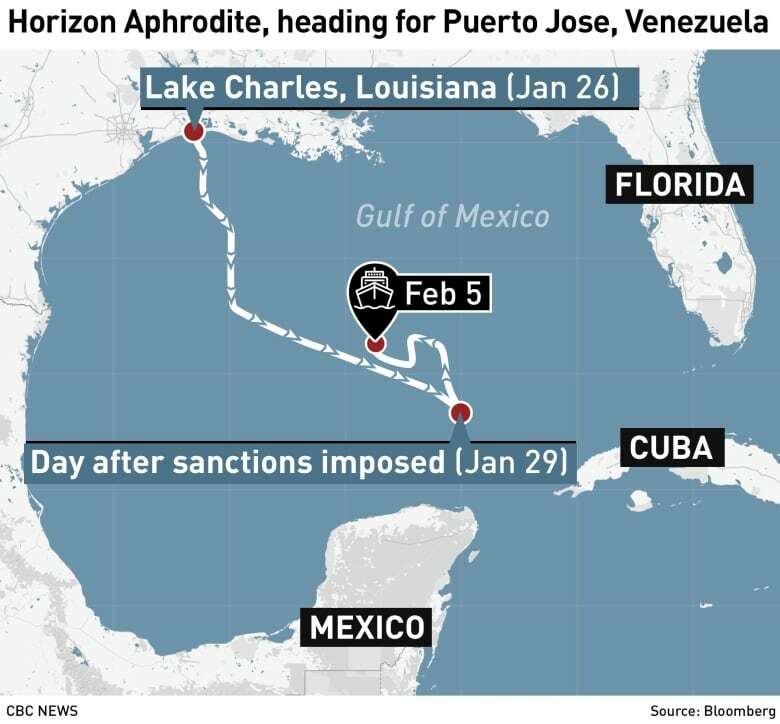 Under normal circumstances, the global oil market has more than enough buyers and sellers to find a new balance any time there's disruption on the scale of the roughly 500,000 barrels of oil that Venezuela normally ships to the U.S. every day. But the current situation is anything but normal. "Those tankers aren't moving anywhere [and] everything's grinding to a halt," Johnston said, "which means the impact on the oil market is going to be bigger than we thought." That's especially true for Canada. Venezuela's heavy oil blend is very similar to the type that comes out of Canada's oilsands, which is known as Western Canada Select. So, in theory, all those U.S. refineries tailor-made for heavy Venezuelan crude should have more of an appetite for Canadian WCS. "Theoretically, you're going to pull more and more of that flexible Canadian oil by rail capacity down to the Gulf," Johnston said, "but it's not like we're going to fill in for the entire half million barrels per day." While there's probably some benefits to be had for Canadian producers from the unrest, a flotilla of idling oil tankers is going to have all sorts of unintended consequences on the market. "Things are happening so quickly that everyone's more or less just kind of paralyzed .. as to ... where to go next," Johnston said. "Based on how things are jammed up, it doesn't seem like anybody had a contingency plan."